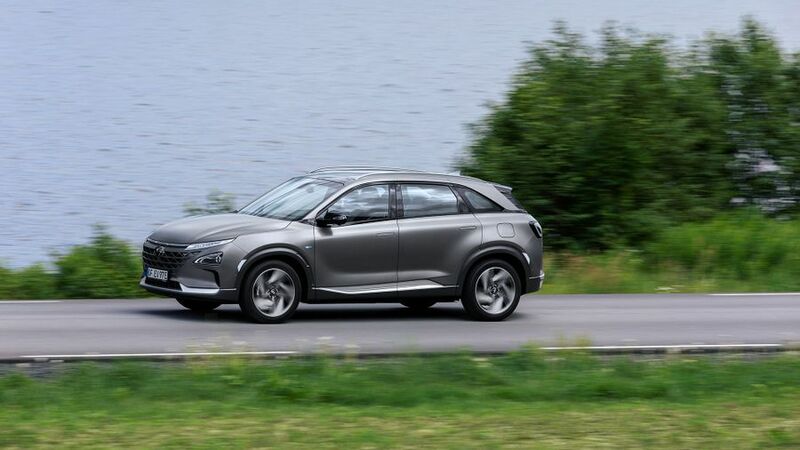 From an alternative fuel perspective, the Hyundai Nexo is nothing short of impressive. It ticks the zero-emissions box, yet doesn’t come with the lengthy charging times battery electric vehicles require. Admittedly, the Nexo is hamstrung by a high price and, more critically, a limited hydrogen refuelling network. We can’t fault it for its comfort on the move, even if it is slow-feeling in comparison to the best EVs. Its unique styling and lots of technology give the Nexo appeal, but ultimately this remains a very specific choice only a tiny minority of motorists could realistically consider. The Hyundai Nexo has plenty to help it stand out from the crowd, even compared to other Hyundai models. The company’s grille design is carried over, but it's larger to allow it to draw in more air for the fuel cell. A prominent LED daytime running light runs across the top of that grille, joining the headlights, which is an unusual feature that makes the Nexo easily identifiable on the road. A lot of the car’s exterior design is dictated by the need to make it cut cleanly through the air. The door handles retract to sit flush with the bodywork, for example, like on a Tesla Model S or Jaguar I-Pace. Even the wheels, which are unique to the Nexo, are designed to be as aerodynamically efficient as possible. There is just one version of the Nexo available, and buyers have a choice of five paint colours. Just as the Nexo’s exterior stands out from the crowd, the interior makes a strong first impression in design terms. Nonetheless, it’s not as spacious inside as you’d expect from the size of the Nexo. Front and rear passenger space are fine, but it doesn’t differ greatly from other ‘conventional’ SUVs. Light colours throughout help to make it feel airy at least, though we are not so sure owners will enjoy trying to keep it looking clean. The quality of the interior is a step up from other Hyundais, which buyers will expect given its price point, while more sustainable materials such as vegan ‘leather’ and plant fibres in items like the floor mats are employed to good effect. Buttons on the sloped centre console are neatly arranged and get a metallic finish that blends in with the surrounding area. This raised section, however, makes you feel a little hemmed in as a driver. A broad dual-screen setup that includes a touch-screen extends from the driver’s side to the middle of the car, and can display a wide variety of information, giving the Nexo a futuristic feel. Given the amount of thought that has clearly gone into designing some aspects of the Nexo, it could be a bit more practical. However, both front seats are electrically adjustable, and the steering adjusts for height and reach. Beneath the floating centre console lies a wireless charging pad, two USB sockets and some additional storage. Accessing and seeing the latter isn’t the easiest task though. A decent sized glovebox is welcome, as is the cubby under the large armrest between the front seats. The rear can seat three, but the middle perch is narrow, and a raised floor section restricts foot space there. In the outer seats, head and legroom are good. Although the Nexo uses three small hydrogen storage tanks spread around the car to help cabin space, boot capacity is still only average-at-best for the segment. 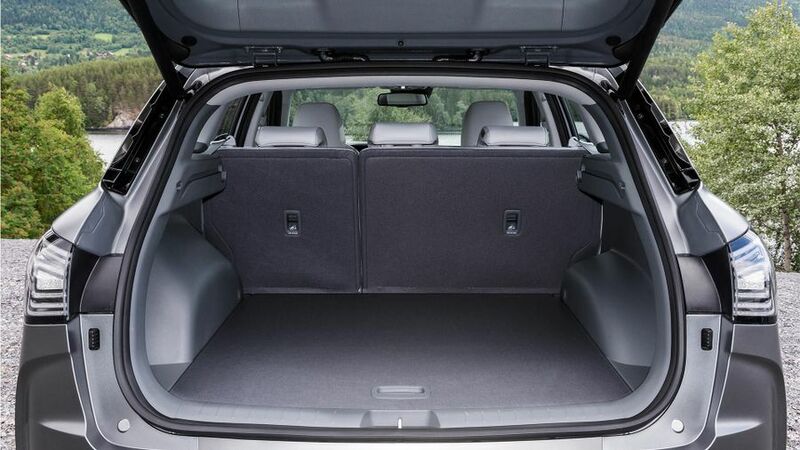 With all five seats in use, it measures 461 litres and can expand to 1,466 litres if you fold the rear seats down. By way of comparison, a Seat Ateca is smaller yet offers more storage. The Nexo isn’t a light car, and you certainly feel it in the bends and when braking. This sensation discourages you from trying to drive it more enthusiastically. On top of that, it doesn’t have the same composure as other premium SUVs like the Audi Q5 or BMW X3, and the handling isn’t as sharp as in the better electric vehicles, such as the Jaguar I-Pace. You can choose from different drive modes that have a subtle effect on how it goes, but that doesn’t help matters particularly. The suspension is more biased towards comfort and, when cruising along, it does do an excellent job of absorbing surface imperfections. Its near-silent operation results in a relaxed cabin experience on the move, too. The Nexo feels most at home when driving in urban settings where its comfort and refinement can shine through. Saying that, it does cruise happily on the motorway and can cover longer distances with ease. You’ll stop short of taking the windy way around, though. 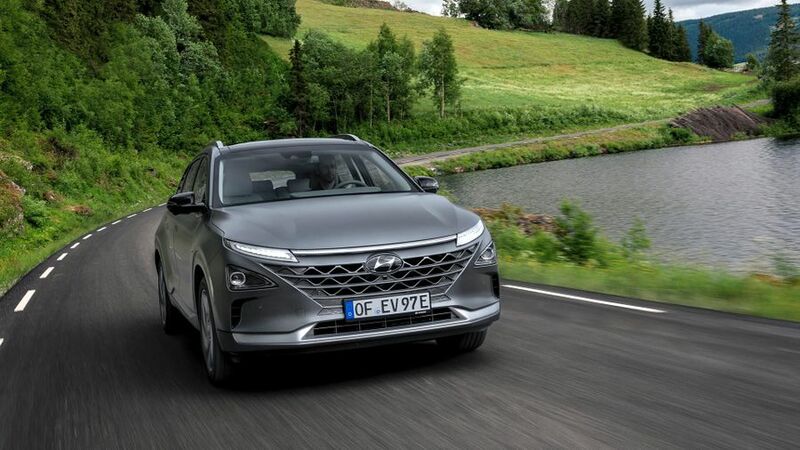 While the Hyundai Nexo uses hydrogen as its fuel source to create electricity, it still has an electric motor to drive the front wheels – and so performs in much the same way as other EVs. 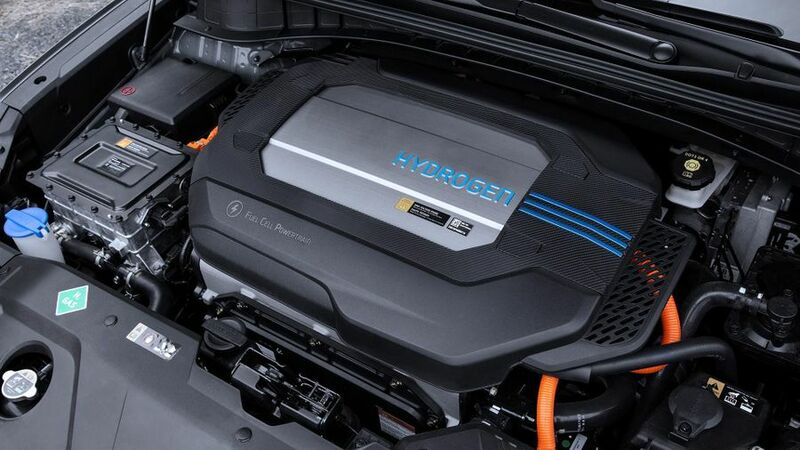 The fuel cell stack uses a chemical reaction between hydrogen and oxygen to generate the electricity. Outright performance isn’t particularly brisk; with a power output of 163 horsepower, its pace is similar to that of a mid-size diesel engine. The Hyundai has a single-speed automatic transmission that is operated by buttons rather than a traditional lever. It features what appear to be gearshift paddles behind the steering wheel, but these are for adjusting the rate of energy recuperation while slowing down. At its highest setting, it feels like applying the brakes when you take your foot off the throttle. 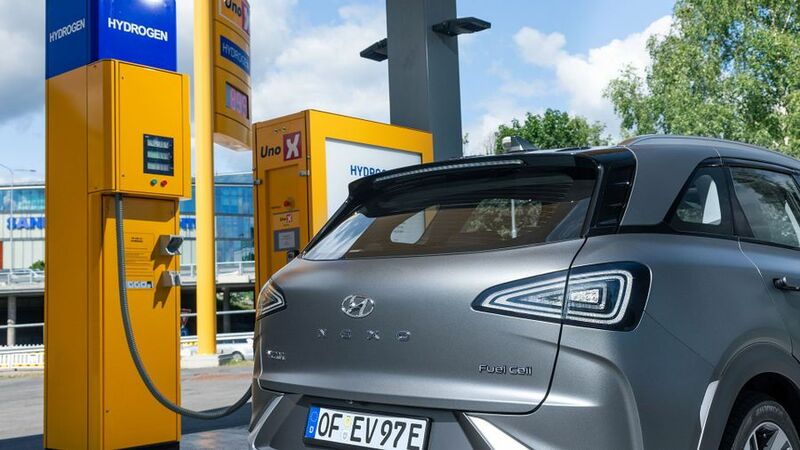 According to Hyundai’s official figures, the Nexo should be capable of covering up to 413 miles on a single fill of hydrogen. That’s not bad when you consider that it takes no longer to refill than a diesel or petrol car, and there are no harmful tailpipe emissions. However, it is less costly to recharge an EV compared with the price of a hydrogen top-up – and, well, plug sockets and chargers are considerably more widespread than hydrogen filling stations. There are only a handful currently in operation in the UK. As the Nexo is in its first generation, there isn’t yet any data on how reliable it is. 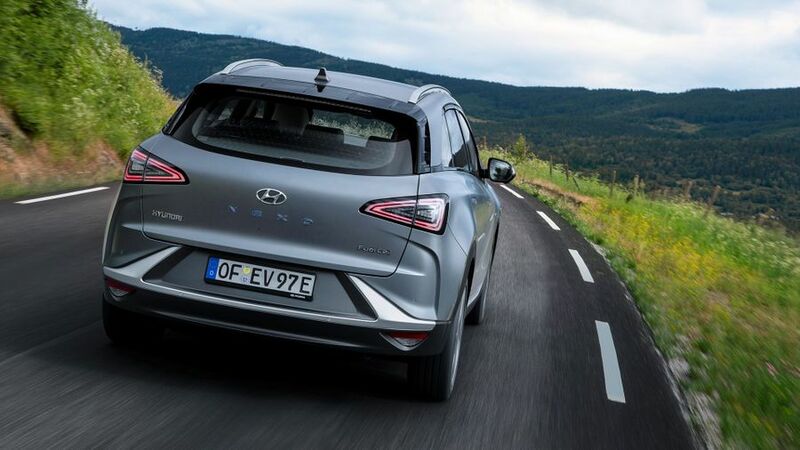 What is worth remembering is, like an electric vehicle, the Hyundai doesn’t have as many moving parts as a traditional car, so there’s theoretically less to go wrong. As with other Hyundais, the Nexo gets a five-year/unlimited mileage warranty package. As the Nexo represents the pinnacle of Hyundai’s engineering, the car gets the best and most advanced safety systems. In addition to adaptive cruise control that keeps a safe distance to the vehicle in front, there’s a lane-keeping system that helps to maintain the car’s position on the road. As useful as this might be on the motorway, if you’re not paying attention, we did find it tends to beep every time you came close to crossing the line on secondary roads. At night, the car automatically detects oncoming traffic and cars ahead, and reduces the lights to low beam to avoid dazzling them. One of the most useful safety systems in the Nexo is a new blind spot monitor. When you indicate, the instrument cluster immediately displays a clear video image of the blind spot in the direction you’re turning. It’s impressive to use, and you quickly become used to it. A total of six airbags, including curtain airbags that run from the front to rear seats, is fitted. The Nexo isn’t short on equipment. Its seven-inch instrument display and 12.3-inch infotainment touch-screen are standard, look great and are easy to navigate. 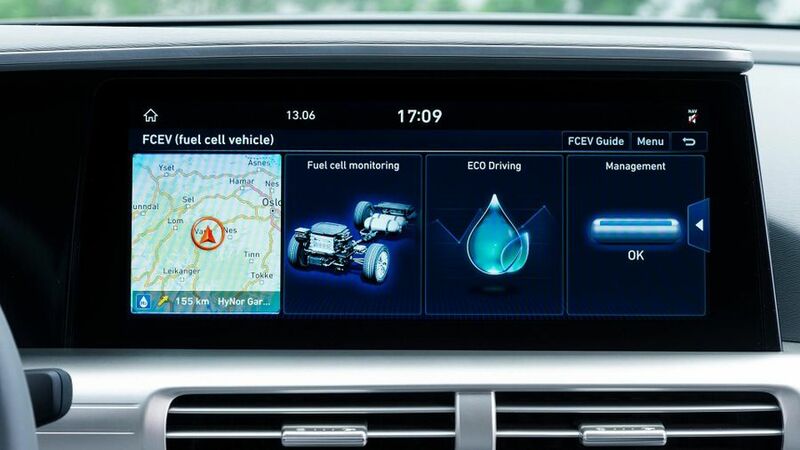 Speaking of navigation, the onboard maps can pinpoint the nearest hydrogen filling stations and show a nifty driving range radius in real-time. A high-end Krell sound system pumps your tunes out, and Hyundai equips the Nexo with voice recognition, Bluetooth and smartphone integration for Android and Apple devices. A powered tailgate adds to the convenience of loading the boot, while the interior gets climate control and a large sunroof. 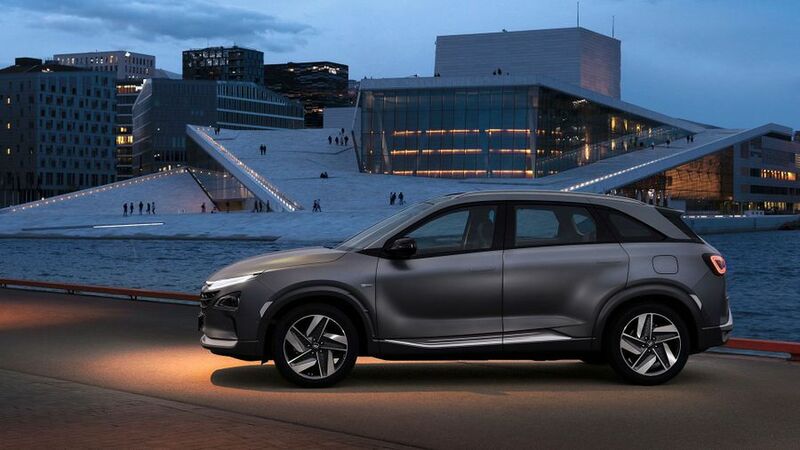 One of the Nexo’s party pieces is that it can park itself in or pull out of either a parallel or perpendicular parking space at the touch of a button, even without you being in the car. Useful for the next time somebody parks too close to your car and there isn’t enough room to squeeze into the driver’s seat. 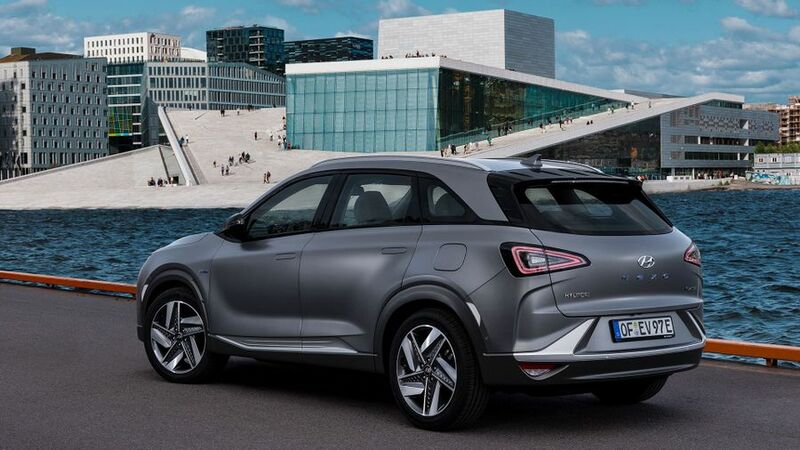 If you’re committed to buying a hydrogen fuel cell car, the Hyundai Nexo is one of the only options at present. It has a distinctive look, which is ideal if you want to stand out as an early adopter, and it’s hard to ignore the appeal of its zero-emissions status. In short, it has many of the benefits of an electric vehicle, but without the lengthy recharging times. As an SUV, it has reasonable, if not class-leading, levels of practicality and delivers a comfortable and refined driving experience.